Looking for a Drug Rehab or Alcohol Rehabilitation Facility in Florida? Florida residents who are experiencing a drug or alcohol problem have many solutions at their fingertips. There are drug rehab programs for the least serious cases, and programs which have helped some of the most progressed. Success in rehab is possible when individuals set themselves up for the best case scenario, which would be doing a drug rehab program that matches their level of treatment need and can help them address anything in their lives which could have caused, contributed to, or could re-trigger their substance abuse problem. So if you have a drug or alcohol problem or know someone that does, speak with a drug treatment counselor in Florida to today to find out which drug rehab program is the best choice. In a single-day count in 2013, 53,641 individuals in Florida were enrolled in some type of substance use treatment in the state. This was an increase from 49,975 individuals in 2009. Among treatment clients in Florida that year, 41.7% were in treatment for drug use only, 15.7% were in treatment for alcohol use only, and 42.6% were in treatment for both. The number one drug problem according to treatment admissions in the state, even more serious than alcohol only, marijuana, and any other illicit drug admissions, is other opiates. Other opiates would primarily be prescription pain killers, which are abused much like the illicit opiate heroin among Florida residents. Nearly 30% of all treatment admissions have a prescription pain killer problem they are trying to address, which is catastrophic and truly at epidemic levels in the state. So while rates of alcohol and marijuana abuse are secondary problems which also need to be addressed, nothing even comes close to the seriousness of the problem that Florida residents face when it comes to prescription pain killer addiction and dependence. Statistics show that the prescription pain killer abuse epidemic in Florida primarily effects 21-35 year olds in the state, but it does impact every age group. Alcohol abuse and dependence are extremely serious problems in the state of Florida, as is the problem of poly-drug abuse. Between alcohol only admissions and individuals who have both a drug and alcohol problem, this accounts for nearly 35% of admissions in the state yearly. So most drug rehab programs are prepared and experienced in treating alcohol addiction and dependence much like any other drug problem, and in many cases the alcohol problem must be addressed along with the drug problem, which in some cases is a prescription drug problem. In such instances, it is very important for individuals who are experiencing such a serious problem to see alcohol treatment if for nothing else then their personal safety. Alcohol and prescription drug dependence require intensive oversight and intervention during the early phases of abstinence, and complications are known to arise. So aside from the invaluable counseling and therapy clients will receive, it is important that they don't put their lives at risk while detoxing. 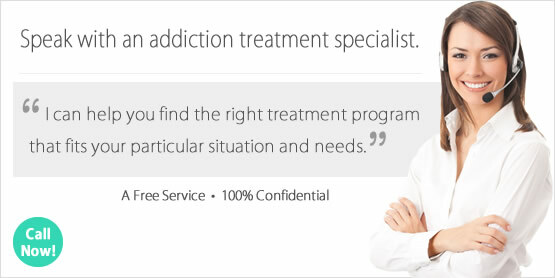 There are over 600 drug rehab programs of one kind or another in the state of Florida. Over 84% of these programs provide outpatient treatment in various formats, including 472 regular/intensive outpatient treatment programs, but there are also 185 residential non-hospital programs, and 34 hospital inpatient programs. Not surprisingly, there are many opiate maintenance facilities in the state, which are surely in existence to attempt to combat the prescription pain killer epidemic in the state. There are 60 such programs in fact, with over 15,200 opiate maintenance clients dosing on prescription opiates daily in these programs to try and keep their "other opiate" habit at bay. These opiate maintenance facilities don't deliver treatment beyond the prescription drugs they administer to help stop opiate dependent clients from going into withdrawal, and drugs such as methadone and buprenorphine have to be taken daily by clients to accomplish this. There are other solutions to this problem which don't involve the daily administration of replacement drugs, and inpatient and residential programs in the state which provide long-term treatment and a comprehensive treatment plan are the most ideal treatment programs for opiate addicted clients in the state. What does Inpatient Rehab in Florida Involve? Inpatient and residential non-hospital treatment in Florida involves either a short term 30-day stay in a hospital, clinic or residential drug rehab facility or a long-term stay on 90-120 days. When outpatient treatment hasn't worked this is going to be the next step, and most chronic addicts benefit from a long-term program which can ensure they cover all bases before returning home. Clients in inpatient treatment in Florida will receive a tailored treatment plans which is based on an assessment of their needs and circumstances, which could include individual and group substance abuse therapy and counseling, cognitive behavioral therapy, holistic treatment, and steps to address a dual-diagnosis if it is determined that the individual needs to address a co-occurring mental health disorder. What does Outpatient Rehab in Florida Involve? Outpatient treatment tends to be the most popular choice, and it is the most widely available. Individuals can expect to receive traditional counseling and therapy services, with some of the more intensive programs delivering additional services such as dual diagnosis treatment although this is rare. As discussed above, there are a number of outpatient programs which only provide opiate maintenance services and no actual treatment beyond this. While outpatient treatment in Florida can be very beneficial for some clients who don't need aggressive intervention, this may not be the case for everyone, particularly individuals with extensive relapse histories.